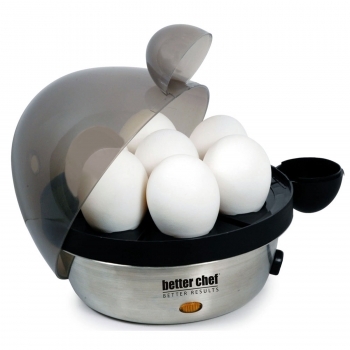 * See-thru lid allows you to view eggs while cooking. 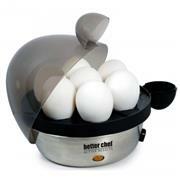 * Removable cooking tray allows you to transport cooked eggs directly to your table. * Includes: see-thru lid, cooking tray (with built-in piercing pin) measuring cup and stainless steel base.